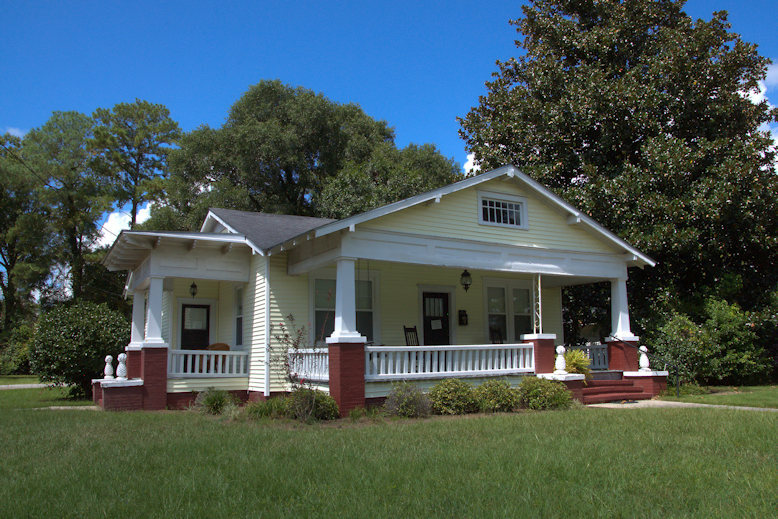 One of the “Collins Row” houses, this Craftsman bungalow was built for W. L. Newton and his wife, Ada Collins Newton. I also like the Craftsman style of homes. Perhaps the separate entrance led to Jose;s comment. Looks like a doctors or lawyers office was part of the house’s history.